I saw a Char Siu Bao post on friend's time on Facebook, couple days ago and it got stuck in my head for a while. Then I saw this recipe online and thought, "oh what the heck! let's do this." It's not like I can go Yum Cha and ask for chicken bao. They will laugh their head off at me. You would normally get this steamed or baked in pork, not chicken at Yum Chas. I don't like or eat pork, not really. I do like crispy bacon and smoked ham, only because they have been smoked, and they don't taste like pork and I don't see that shiny bouncy gel like fat shimmering at me. Argh! So without further ado, the recipes are on the link above. 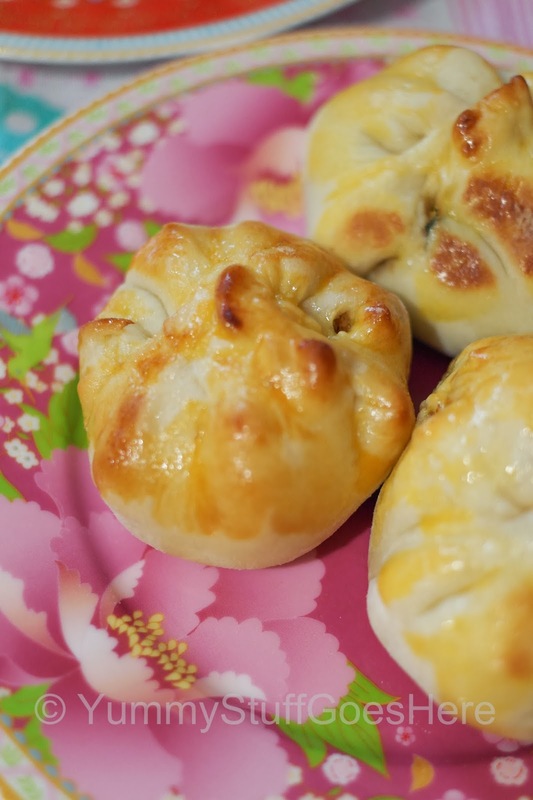 I love Christine's website, she has a lot of easy Chinese recipes if you are a fan of Chinese food. For myself, I prefer Malay food, the spicier, the better. Here are some of my photos of the making of the bao in my kitchen. Easy, right? Those of you who don't want to spend hours in the kitchen, can follow me. Buy a bottle of charsiu sauce and sautee the veges with diced chicken and sauce. The dough on the other hand, no easy way out, you can't buy it, you have to follow the recipe to make your own. It's not hard. And it taste delicious! Happy New Year all, celebrating the new year with a home made ice cream recipe. If you like green tea, you'll want to bookmark this simple recipe. For those of who do not know what a Matcha is, it's powdered green tea leaves that has been dried and processed to powder form. It is more concentrated than Sencha. Sencha is just green tea in its normal form, you add it to hot water and drink it like hot tea. With Matcha, you can drink it, cook it, bake it, it's very user friendly and there are so many recipes on the Internet that you can try and have fun with if you have some Matcha. After just returning from Japan, more than anything, I am craving Matcha ice cream. It's terrible having to leave that place. I am already planning my next trip but it won't be for some time yet so for today, I am hoping to replicate that wonderful Japanese ice cream. Recipe below is for 2-4 people or in my case, one :) Alright, I'll share, if I really have to.. Remove from heat, add A+B to warm milk, mix well till smooth paste. Start whipping cream for folding to Matcha mix. Fold whipped cream to Matcha mix when the mix is cold enough. Put in your chilled ice cream bowl container and leave in freezer. No need to churn with ice cream maker. Here are some photos from some of the steps. There you have it, you chill it in the freezer for few hours and voila! 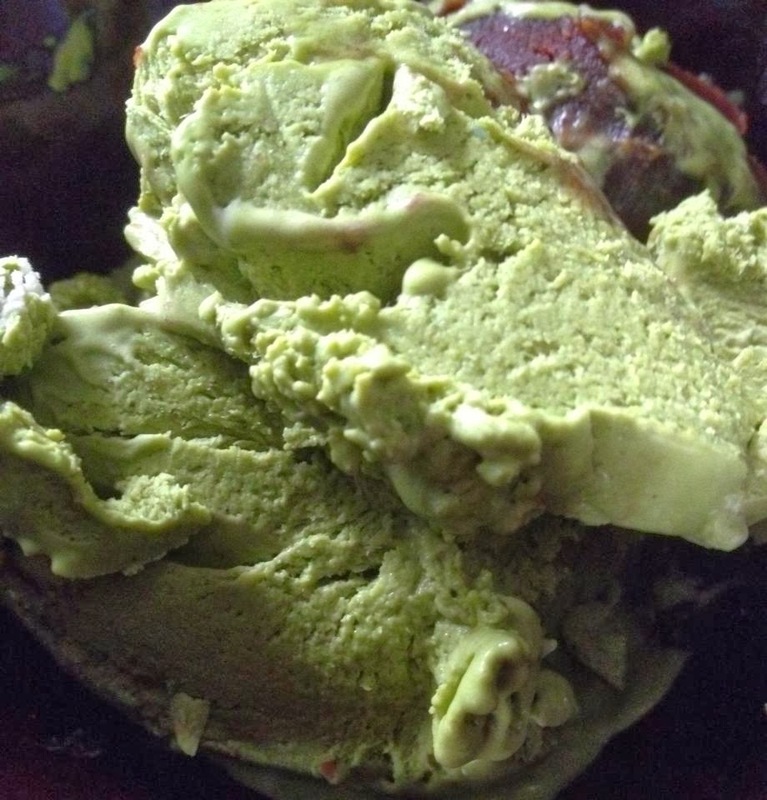 Your very own Matcha ice cream ;) I'm going to serve mine in a Japanese bowl with some azuki (red beans). Oishi!